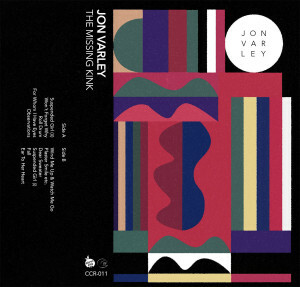 With a snowstorm keeping me inside this past weekend, Jon Varley’s charming lo-fi epic, “The Missing Kink,” did well to remind me of sunnier days and clearer skies. A mere 11 months after his self-titled debut, Mr. Varley finds himself serving up another helping, this time on Richmond’s finest, Citrus City Records. At times toe-tapping (“For Whom I Have Eyes”), at times twee (“Wind Me Up & Watch Me Go”), “The Missing Kink” applies the scratchy electric guitar of garage rock in a distinctly funky, slacker style not unlike that of a Connan Moccasin or a Homeshake. Across the album’s 11 tracks, Varley does a masterful job of weaving distinct musical themes into a cohesive whole. A good deal of this is attributable to his soothing vocals, delivering missives of love and longing. Though the album’s bangers are not to be discounted, the album’s most tantalizing moments are found in meandering ballads. “Dear Sweater” pairs electric and acoustic guitar to sing the praises of the artist’s love, while “Fall” bemoans the decay of love as seasons change. As “Fall” fades into “Ear to Her Heart,” Varley’s lonesome crooning reflects briefly against the confines of my headphones, disappearing in a sea of cello and tape hiss. And there sure is something comforting about cello and tape hiss. Check out The Missing Kink over at Citrus City Records and buy a tape! Nate Wagner is a musician, university student, and cassette lover from North Carolina. Hit him up on Facebook to talk music, find a show, or complain about Arsene Wenger.